Born on the blazing streets of Silverado City, Helena Holt made more than a few wrong turns in her life. The daughter of one of the oldest families in Silverado City, she resented growing up as the daughter of the Sheriff Andrew Holt and soon found herself involved in juvenile crimes of a fairly minor nature. An angry confrontation with her father convinced her it was time to leave home and join her boyfriend and his gang in committing a more serious crime. The next day, while he was at work, she entered his room planning to abscond with some cash she knew was kept in his closet, and instead found a polished wooden box. The box contained two six shooters, embossed with silver tracery, and a collection of old letters. Delving into them, she discovered the secret family history of her great-grandparents (and her namesake), Tim and Helena Holt, better known in the Old West as Red Mask and Black Phantom. After a couple hours spent reading the letters, Helena realized she was meant for nobler things. From that day forward, she dedicated herself to study and practice. By the time she had graduated from the UNSC (University Nevada at Silverado City) with a degree in the forensic scientists, she was ready to wear the mask and carry the guns of the Black Phantom. Naturally, her father, now retired as sheriff, was aware of the true identity of Silverado City’s newest super heroine, and he couldn’t be happier. Helena now works in SCPD’s CIS department and, when a case is more than the police can handle, she takes on the mantle of the Black Phantom. She is also a founding member of the Silver Sentinels, a group of super heroes with a rotating membership based in a secret mesa headquarters in the American Southwest and serving the Western U.S., Canada and Mexico. The Silver Sentinels include Commandette, the Conqueror, Fu Chang, the Great Defender, Jet Powers (leader and funder behind the team), Mighty Man, Super Ann, Captain Flash, Red Bee, Toreador and the heroic team of 13 and Jinx (man, they look familiar). Charlotte Munroe had grown up a poor woman with rich tastes. Working as a beautician in some of the finest resorts of Silverado City, she grew jealous of the wealthy, pointless women who spent their days lounging in spas while she worked and slaved to make them beautiful. On a night that found her particularly depressed, she went for a walk and witnessed something fall from the sky and land on the sidewalk a few yards in front of her without a sound. Coming closer, she discovered a coin or disk of black metal. Touching the disk, she heard a voice in her head urging her to sleep and dream, and she fell into a deep coma, the disc grasped tightly in her hand. Two weeks later, she awoke in the hospital. The disk was gone, but a black circle was now in evidence on the palm of her hand. While in her coma, she was given to bizarre, frightening dreams of writhing oozes and toad-things of every color of the rainbow, and of herself possessed of wondrous powers. Rubbing the disk, she said the words “I wish it was all true” and found herself transformed by the Lord of Madness. 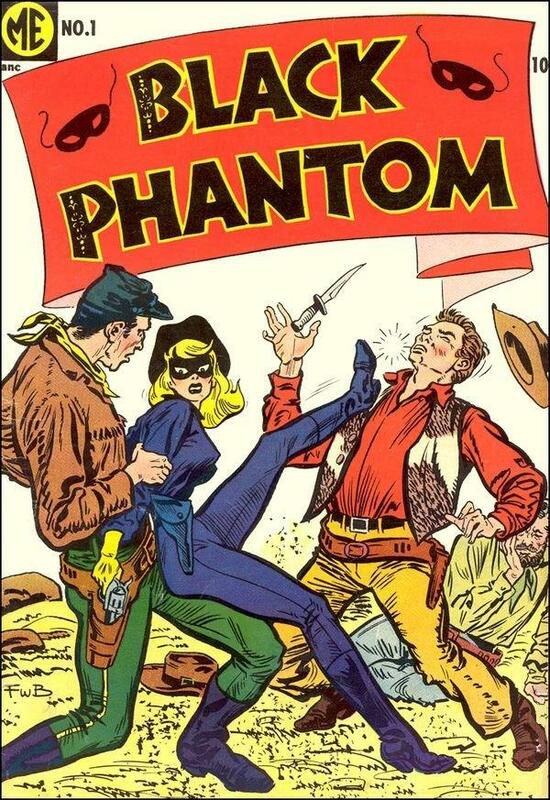 Set loose on an unsuspecting city, Charlotte, nicknamed Faster Pussycat by a wag in the local press, went on a crime spree in the resorts of Silverado City until the combined efforts of the Black Phantom and the Silver Sentinels finally brought her down. A brief stint in Iron Island in Shore City ended when Harletron 3000 pulled off a rare jail break from that facility, and the two Agents of Chaos are now on the loose. Cool. So does Faster Pussycat kill kill?